The one with Barielle Suntini! 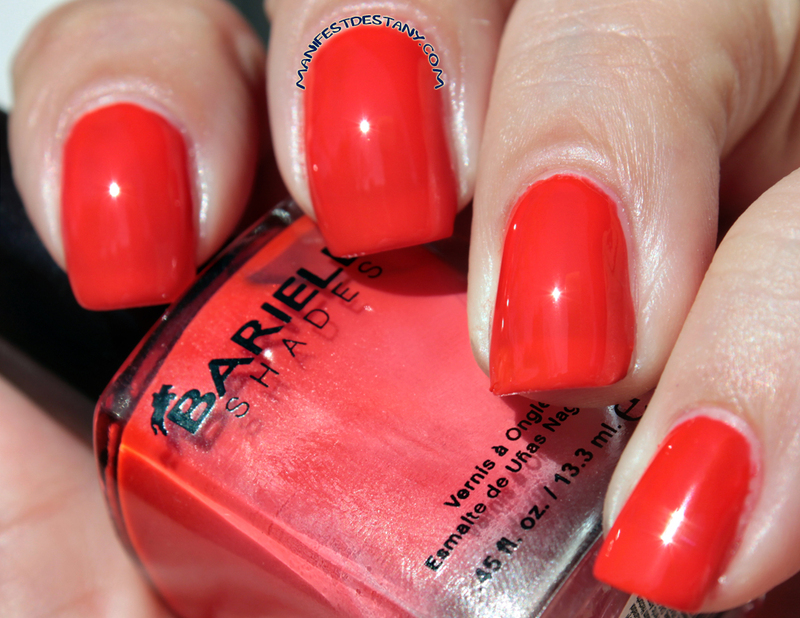 Today I have another pretty Barielle for you - Suntini. 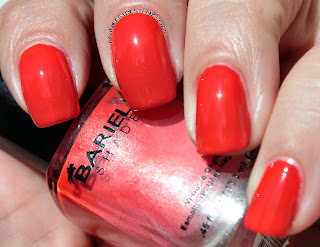 This is a bright red-orange that really makes me think of summer. I don't know why. I don't usually pay attention to the season with my nail color, but for whatever reason, this bright, cheerful color just screams "SUMMER" at me! 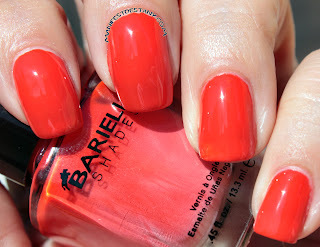 I used two coats in these photos, and it just looks gorgeous in the sun. The formula was spot on. Not too thick, not too thin.